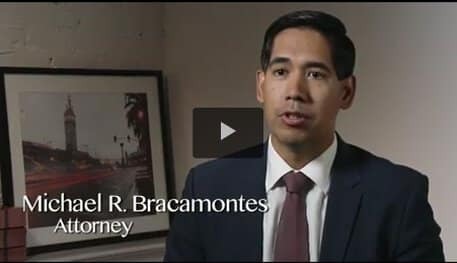 Habitability Lawyer San Francisco, CA | Bracamontes & Vlasak, P.C. If the landlord has refused to make repairs to your unit you should contact a tenants’ rights attorney immediately. In California, residential landlords are obligated to keep units in a clean, sanitary, safe and habitable condition. This is called the warranty of habitability. This warranty is implied in every residential lease agreement in California. A breach of the warranty of habitability is also a valid defense to an unlawful detainer for nonpayment of rent. Contact Bracamontes & Vlasak, P.C., online or by phone at 415.835.6777 today. An affirmative action against your landlord can be filed before or after an unlawful detainer. In other words, you do not have to wait for your landlord to file an eviction lawsuit to enforce your rights. You may be able to file an affirmative lawsuit against your landlord in order to secure a safer, more sanitary, and peaceful tenancy. Breaches of the warranty of habitability include a lack of: heat, hot water, electricity, operable windows, operable doors and locks, sanitary and safe common areas, and other necessities. Many of these conditions are codified in California Civil Code 1941.1, as constituting an untenantable dwelling. Breaches also include leaking ceilings, toxic mold, carbon monoxide leaks, bed bugs, rodents, and plumbing issues. 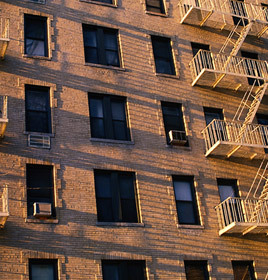 If you have these problems with your apartment, other tenants probably do too and multi-tenant litigation may be appropriate. As a matter of law, landlords must provide these basic necessities to all residential units. Failure to do so may allow the tenant to withhold rent in certain circumstances. However, you should always consult an attorney prior to withholding rent because doing so could put your tenancy at risk. Tenants also have affirmative obligations with respect to their tenancies. California Civil Code § 1941.2 details some of these duties, including keeping the premises in a clean and sanitary condition, properly using all fixtures and appliances, and using the premises for the purposes it was intended. Pursuant to California Civil Code 1942, if your landlord fails within a reasonable time to make repairs to conditions which have rendered the unit untenantable, you may be able to repair the condition and deduct the cost from rent or vacate the premises and terminate your lease. However, you should always consult an experienced tenant’s attorney to determine whether you are legally entitled to take these actions. It is also unlawful for the landlord to retaliate against you for exercising your rights and making requests for repairs. If your landlord has attempted to evict you, raised your rent, unlawfully entered your apartment, or threatened such acts, directly after you have requested repair of dilapidated conditions, you may be entitled to damages and should consult a tenant’s attorney immediately. If your landlord fails to make required repairs, you may contact the Department of Building Inspection or relevant Health Department to conduct an inspection of your unit or building. If code violations exist, the public agency will cite your landlord with a notice of violation and the landlord will be obligated to make the repairs. Pursuant to California Civil Code 1942.4, a landlord cannot collect or demand rent or serve a three-day notice to pay rent or quit when the unit is untenantable and an outstanding notice of violation has gone unabated for over 35 days. If this has occurred at your apartment building, you should contact a tenant’s lawyer at BV Law right away. You may be entitled to statutory damages and attorney’s fees. In some cases, landlords intentionally fail to make necessary repairs in an effort to coerce tenants out of rent-controlled units so that they can charge market rate for the units when new tenants move in. This practice is illegal and can constitute Wrongful eviction and a violation of the San Francisco Rent Ordinance. A tenant may be entitled to treble damages (triple the amount of actual damages), plus attorney’s fees and costs, if the tenant can prove a rent ordinance violation in a matter involving a rent-controlled apartment. Berkeley and Oakland have rent ordinances with similar provisions. What constitutes a breach of the warranty of habitability? Do I have a right to sue? If I am being sued for unlawful detainer, do I have a defense? What conditions are landlords obligated to fix? What do I do if I ask the landlord to make a repair and he ignores me? You can also schedule a free consultation with a tenants’ rights attorney by calling us at 415.835.6777.